Proceed into careers as secondary school teachers: VolsTeach program. 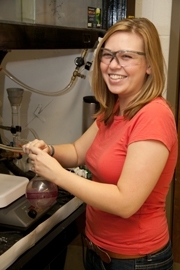 Gain admission into one of the best chemistry graduate programs in the country. Pursue studies in the health professions and law. *Alper, J. (2008). Why would you study chemistry? ACS Careers Website. Retrieved on 10/15/2010.